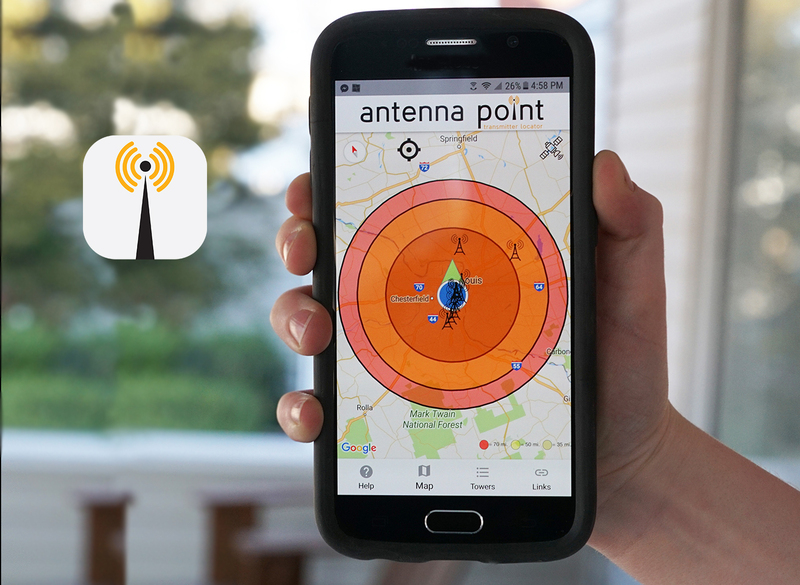 Home > Antennas Direct Blog > The Antenna Point App is Now Available for EVERYONE! The Antenna Point App is Now Available for EVERYONE! Our Antenna Point app has been around for a while, spreading joy and free TV wherever it’s downloaded, but not everyone was able to share in the fun. You see, it was only available for download on iOS devices, but not anymore! Now you can download Antenna Point on your Android smartphone or tablet. No matter what device you have, you can benefit from Antenna Point! So, what is Antenna Point? Only the greatest tool for setting up your HDTV antenna for free local and network broadcast TV! Over-the-air television is free for everyone with a TV antenna within range of the broadcast towers, but do you know where the nearest broadcast towers are located? Do you know if you need a 60-mile range TV antenna, or whether a 35-mile range TV antenna would provide all the available channels in your area? That’s where our free Antenna Point app comes in. The mapping tool allows you to see the distance coverage between your home and the broadcast towers. Of course, distance isn’t the only factor, as terrain, tall buildings, and trees can affect the signal reaching your antenna, so locating the broadcast towers is your first step when choosing the right TV antenna for you! See how many channels are available in your area, and which direction to aim your TV antenna for the best reception! Get the Antenna Point app on the App Store or Google Play.